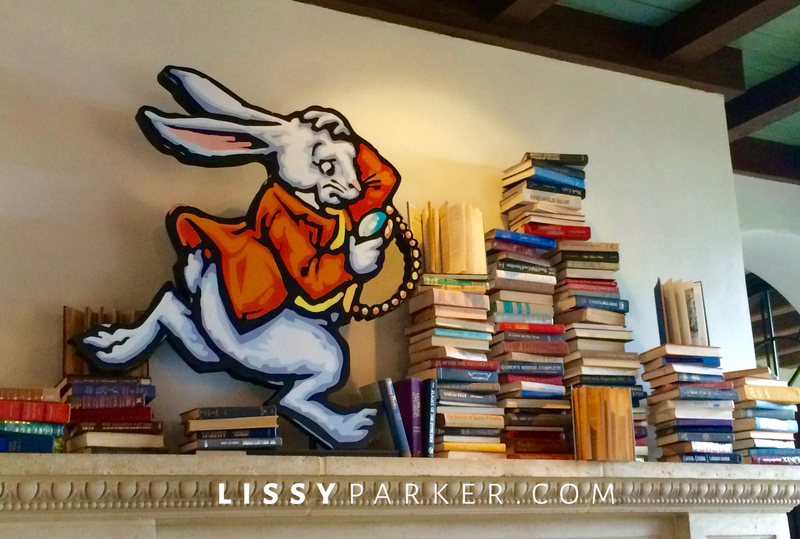 The White rabbit is late … again! The Cloister on Sea Island is a wonderful place to escape from the everyday warp speed of life. The rhythm of the frothy waves and the slight warmth of the air this time of the year soothes the soul—the fabulous Spa doesn’t hurt either. Alice, of Wonderland fame, was spotted on a recent trip having tea and escaping her deliriously busy life—no Johnny Depp sightings … yet! Enjoy this humorous little get-a-away to the beach—and this time you can include the little ones. They have wonderful sitters! The Mad Hatter and one rabbit are ready for tea. The Queen is looking for heads—literally! The Cheshire cat is just taking it all in. Sunset brings the pipers out every day—love this! Sounds like the place for me. I love Alice and wonderland teacups and teapots.